TVS Motors showcased the Akula 310 concept at the 2016 New Delhi Auto Expo. And now it seems, the company is all set to bring the Akula based motorcycle. The bike will be known as the Apache RTR 300. Recently a test mule of the bike has been spotted testing on Indian roads for the first time. 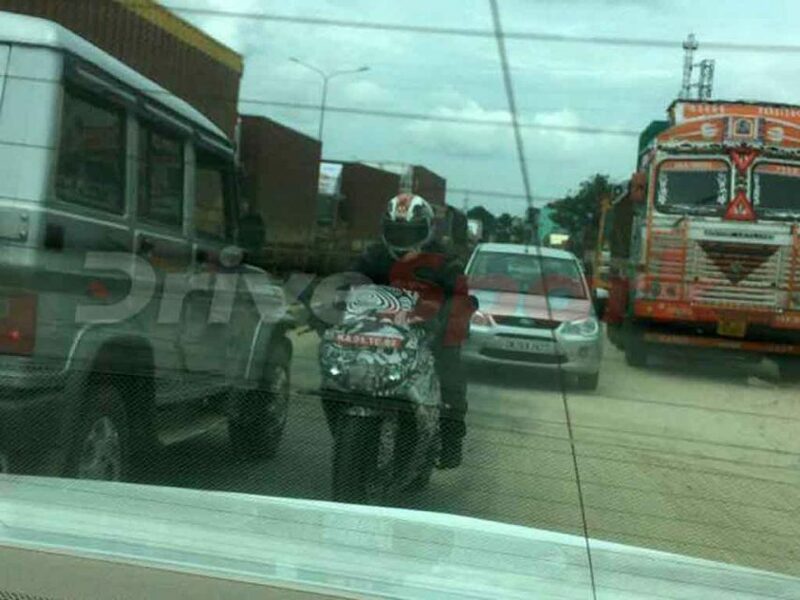 The prototype was being tested on Hosur road, Bangalore, and it had a temporary Karnataka registration as well. reports say, the exhaust note of the bike is mindblowing. The bike is based on the BMW G310R. This is going to be the first fully faired TVS sportsbike and also the most powerful TVS model till date. Although we all knew the bike is under development, but the prototype has been spotted sooner than we expected. The design of the bike has been inspired from shark, and the name also bears the clue. In Russian, Akula means shark. 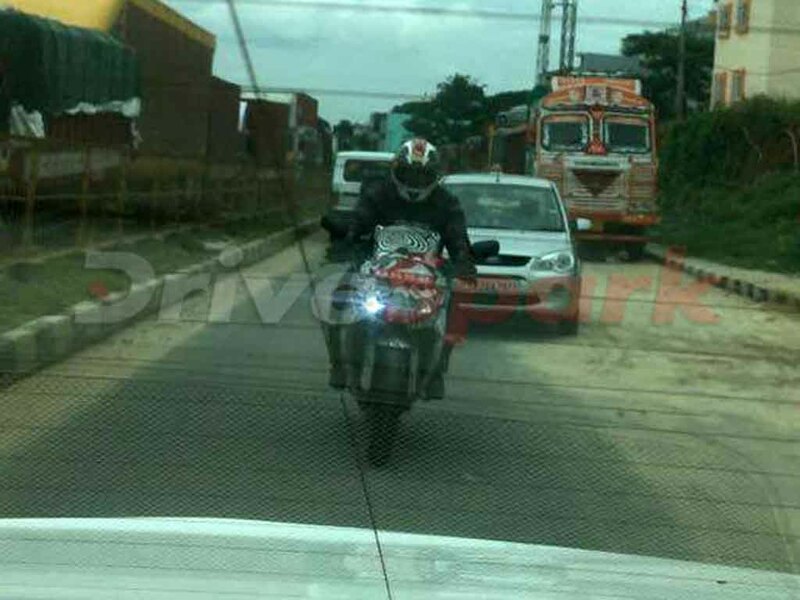 TVS Motors claims, the upcoming bike is the result of its 30 years of research and racing. The bike is expected to launch later this year. It gets a muscular appearance and fairing containing loads of carbon fibre elements. 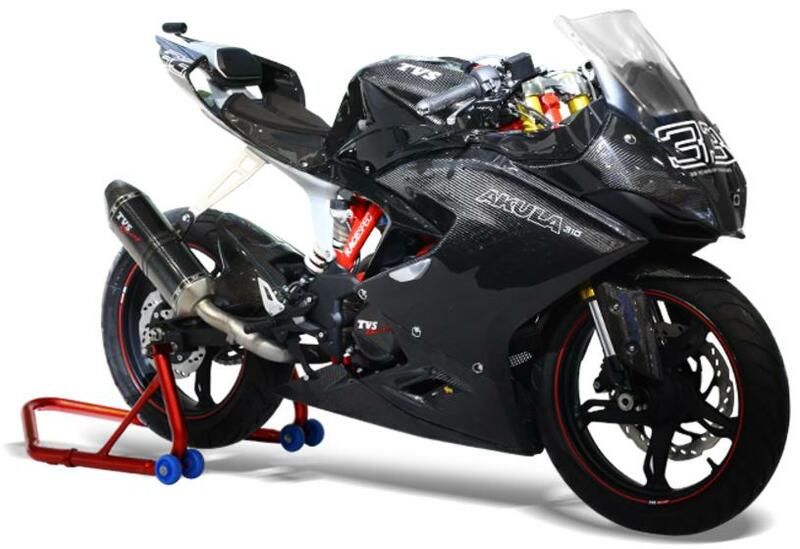 Draing inspiration from the TVS Akula 310 concept the upcoming Apache RTR 300 will adorn twin LED projector headlamps, a fully digital instrument cluster. Like the TVS Akula 310 concept the Apache RTR 300 will also be based on a race spec all aluminium TRELLIS frame. It gets front grille vents for thermal efficiency. The fuel tank looks beefy and muscular portraying an aggressive appearance. The seats come in split manner, and the silencer also looks muscular; just like the concept model. Apart from the CS400 it will also take on the Yamaha R3, Kawasaki Ninja 300 and KTM RC390 as well. The Apache 300 will get power from a 313 cc single cylinder engine shared with the BMW G310R. This engine is mated to a 6 speed manual transmission and churns out 34 hp of peak power and 28 Nm of peak torque. The suspension duty is done by USD front forks and mono shock at rear. On the braking front the bike gets discs at both the wheels and dual channel ABS. It runs on Pirelli tyres.